Although there's plenty of hype around 'punch hole' in-screen cameras as found on the Galaxy A8s and Honor Honor View 20, Vivo has something completely different on offer. The Nex Dual Display Edition. It seemed that dual sreens phones had died before they'd even taken off but Vivo is giving it a crack. This version of the innovative Nex has a display on both sides. Samsung is also bringing a dual screen phone, but a folding one in the Galaxy F.
When is the Vivo Nex Dual Display release date? The Vivo Nex Dual Display Edition will go on sale in China on 29 December. There's no word on a launch outside of China yet, but UK press were invited - including Tech Advisor - to the event which is a good sign. There's often not a price for phones at launch events but the Nex Dual Display will cost 4,998 Yuan. That coverts to about £575 or $725. 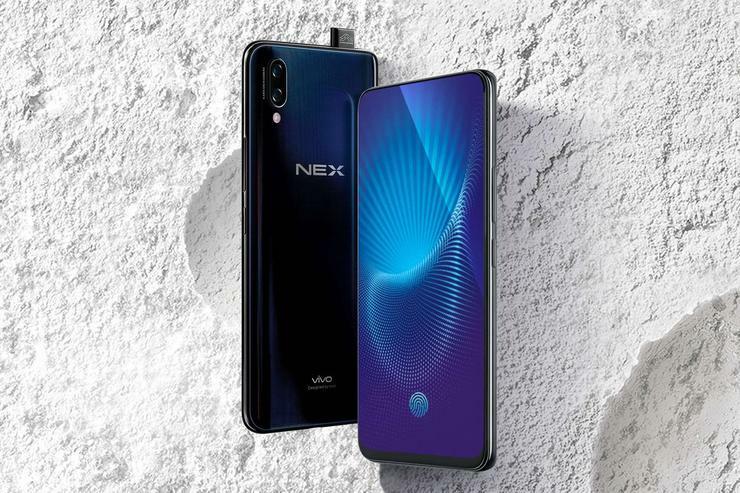 What are the Vivo Nex Dual Display specs? We've had dual screen phones in the past like the Yotaphone 2. While that had an E-ink screen on the back, the Nex Dual Display is more modern. It has a 5.49in Full HD Super AMOLED screen on the back so looks like a normal phone on both sides. This negates the need for a front facing camera as the rear screen provides what you need to take a selfie with the rear cameras. This in turn means the front has a huge 6.39in display with a 2340 x 1080 resolution. There are almost no bezels thanks to not notch or camera. Vivo said "With an improved screen-to-body ratio of 91.63 percent, the Super AMOLED front display offers a notch-free and immersive viewing experience to users." That screen-to-body ration rivals the Xiaomi Mi Mix 3 and Honor Magic 2. Also on the back of the phone is a 'Lunar Ring' which "creates a glowing band of colors which can signify notifications and even pulse with music". There are three cameras on the back including a 12Mp primary camera with optical image stabilisation (OIS), followed by a 2Mp night vision sensor then a third Time of Flight 3D stereo camera. Vivo says the latter's "3D sensing capabilities not only enables point-to-point distance measuring, but also supports 3D Modeling of the user’s face for enhanced facial recognition, protection and personalized beautification." It's also used for advanced face unlock if you're holding it with the cameras facing you. Otherwise there's a fingerprint scanner embedded in the screen like the OnePlus 6T. The top-notch specs continue with a Qualcomm Snapdragon 845 processor combined with 10GB of RAM and 128GB of non-expandable storage. There's also a 3500mAh battery and USB-C.